although sad to miss you all in cleveland, Handmade Arcade was great (as always!). we are truly blessed here in pittsburgh to have such a fabulous show! thanks to everyone who stopped by and to the organizers. 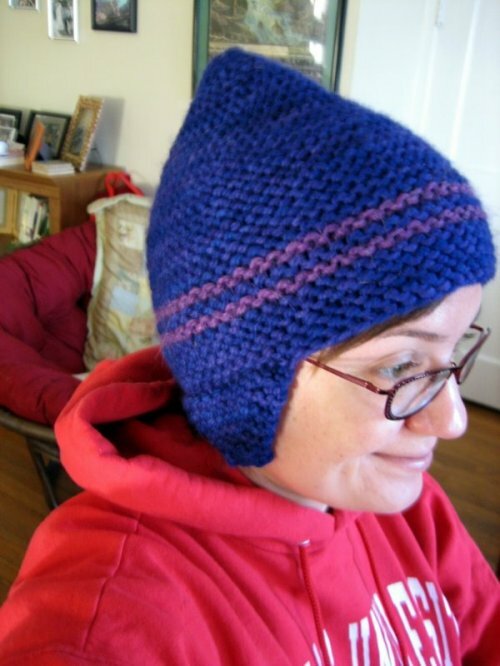 this fabulous super hero helmet hat, by mick, can be found over here, on the much adored blog. p.p.s. the shops are re-opened! and i’m doing a hat update as i publish. This entry was posted in community, cosyknitsliterally, craftfairs, hats, knitting, patterns by cosymakes. Bookmark the permalink.